1 mm can be used every 4 weeks on the same skin area. 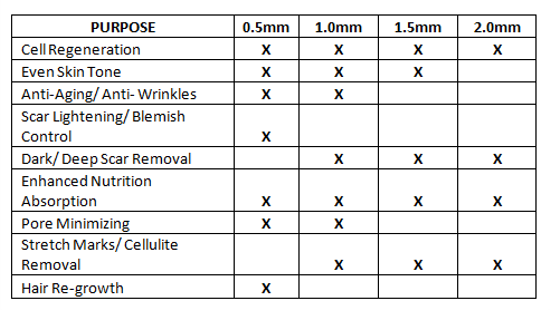 1.5mm can be used every 5 weeks on the same skin area. The first thing that comes to mind when looking at a dermaroller is – does it hurt? Derma rollers are made up of tiny micro pins that pierce the skin. Is dermarolling painful depends on what needle length rollers are used. After dermarolling your skin you may feel tightness, you skin will be slightly red and inflamed – it will feel like sunburn and sensitive to the touch. These sensations are normal and will fade after a few hours. It will take approximately 24 to 48 hours for the redness to fade and your skin to feel normal again, but with longer needle lengths it may take up to 2-3 days for your skin to calm completely. Our skin requires time to regenerate and repair after stimulation with a dermaroller. Always give enough time to enable the new collagen to grow, which will boost cell growth and improve blood circulation. You will see visible changes in your skin after the first dermaroller session, but takes about 4-6 weeks before you notice real signs of improvement in your skin. Once the changes start to occur, the improving of your skin will continue over the next few months. The human skin has an average thickness of 1.5mm, so normally needles longer than 1.5mm is not necessary to achieve results from rolling. There are topical numbing creams that can be used to numb the skin, make sure that you do not apply them to any open wounds as this can cause complications – always read the instructions that come with the purchased numbing cream. This will give you a slight overview of what to expect when using the dermaroller at home. 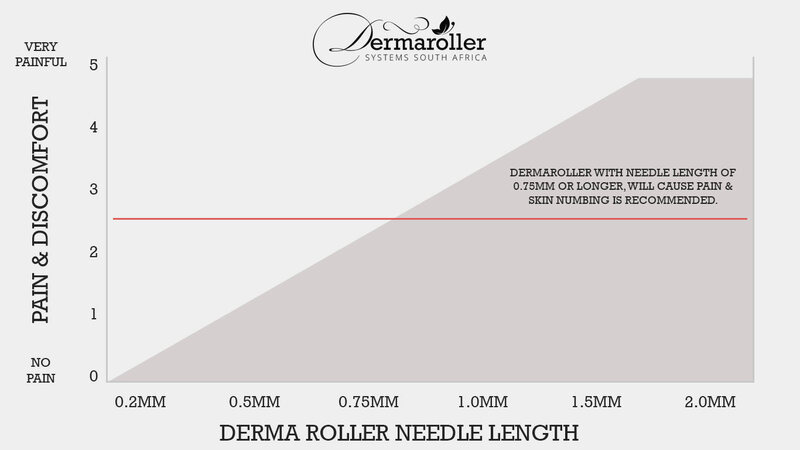 Is dermaroller painful depends on what needle length rollers are used. The daily use 0.25mm dermaroller is specifically designed to penetrate deep enough to be effective, and yet not deep enough to touch nerves and cause pain. When used according to the directions, the ultra-sharp needles will penetrate only the upper layers of skin without causing bleeding. When using a 0.25mm or 0.5mm dermaroller, usually no topical numbing cream is necessary. Longer needles (0.75mm, 1.0mm, 1.5mm, 2.0mm) can cause pain but also produce significantly better results. The longer the dermaroller needles the more discomfort. However, the first dermarolling session is usually perceived more painful than further rolling sessions.